Model T Ford Forum: Am I missing a spring? Am I missing a spring? 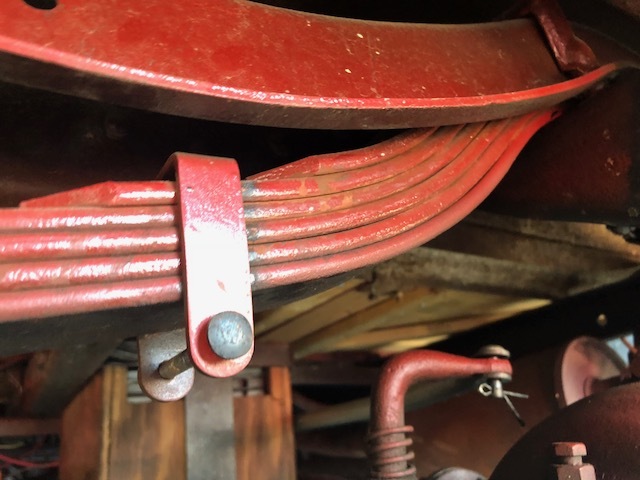 Model T Ford Forum: Forum 2018: Am I missing a spring? I was under the car and this seems to indicate that I am. Six leaves showing - I think the rear spring needs eight or nine ? Steve, the frame is a later 26-7 going on the lip on the rear cross member. 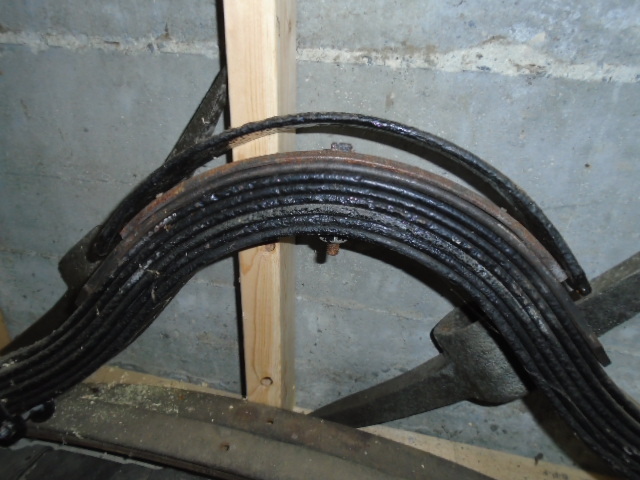 The number of leaves in a rear spring does depend on the body fitted. Heavier sedans had extra leaves. The spacings on the end of the leaves in your spring are consistent, so there may not be missing leaves below the spring clip. It may just be that incorrect spring clips have been used. David's photo shows the top two single curve leaves not shown in Steve's post. If he has them up in the frame cross member, then the spring is likely correct and the clips are not. Ford offered a six? 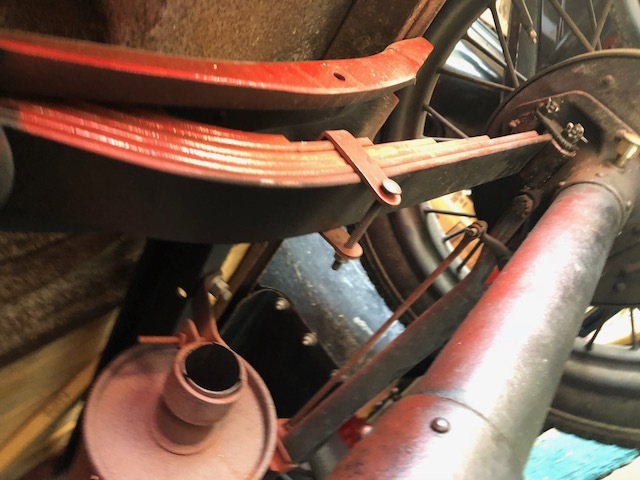 leaf rear spring for the roadsters in 1925. They had to have a special bar across the clamp to take up the gap. I've seen those, but never have seen a factory spring.